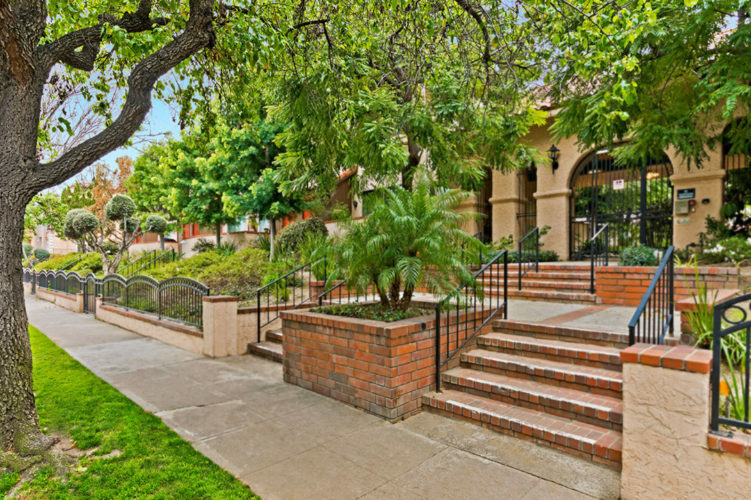 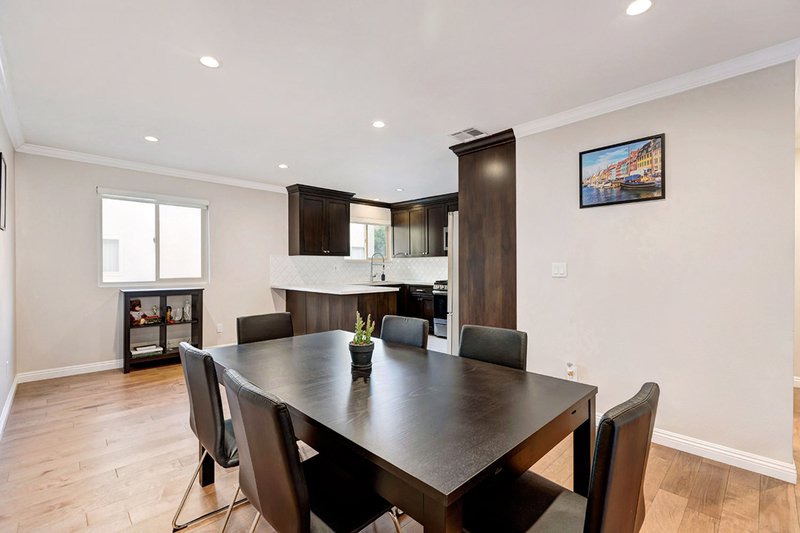 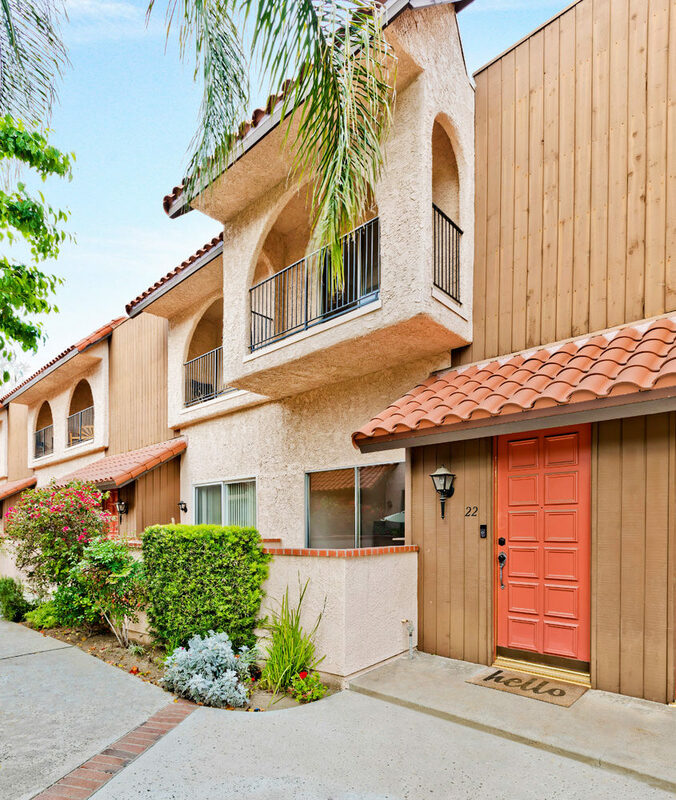 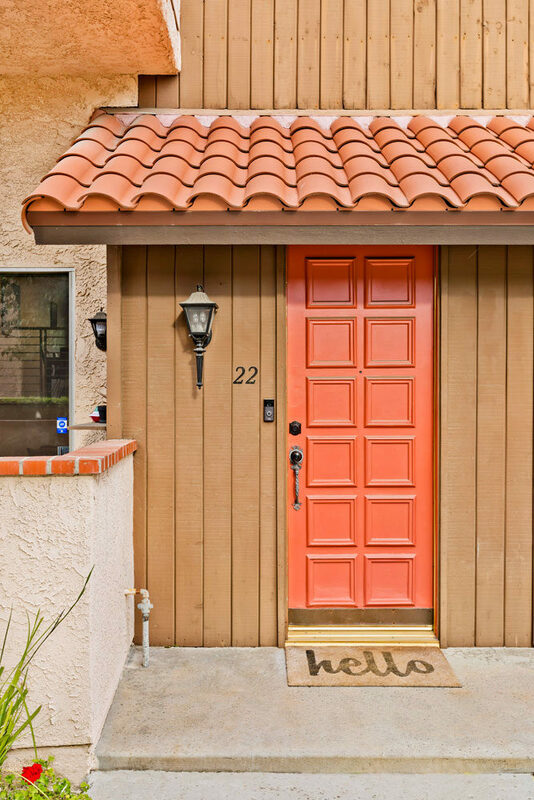 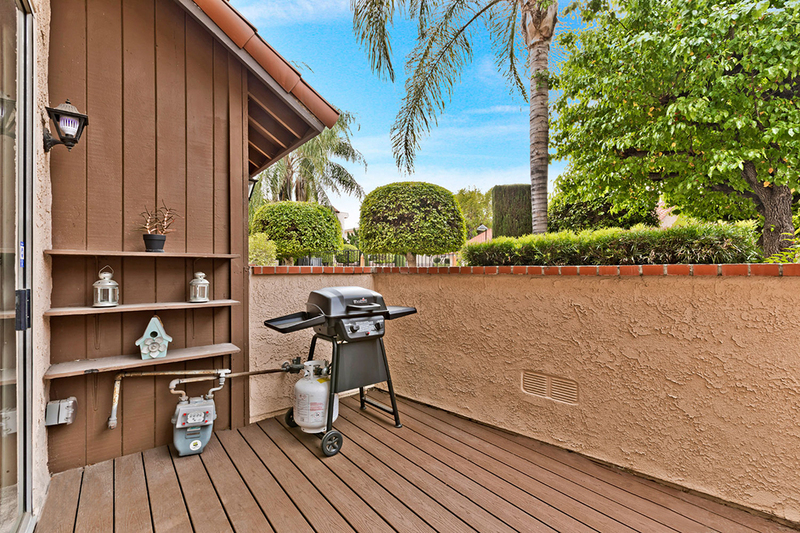 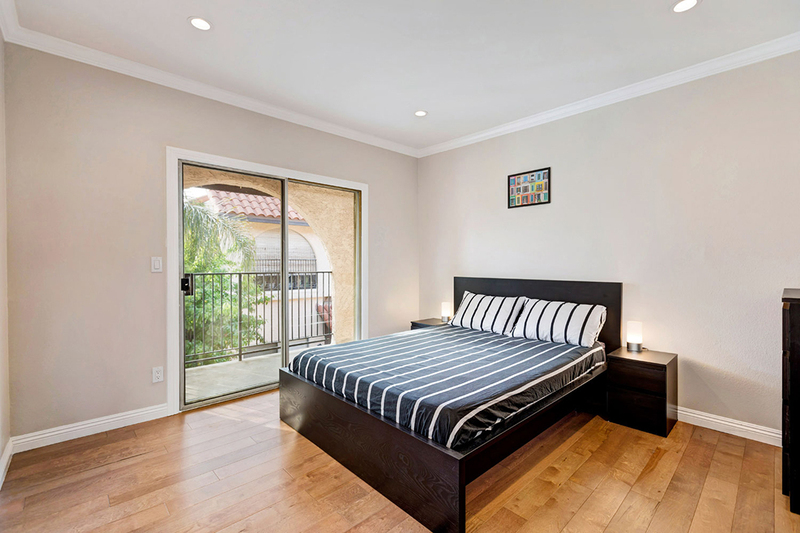 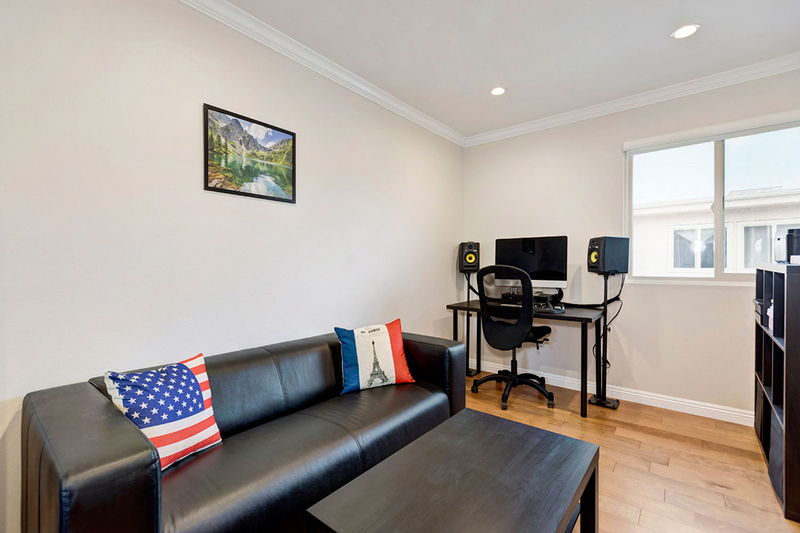 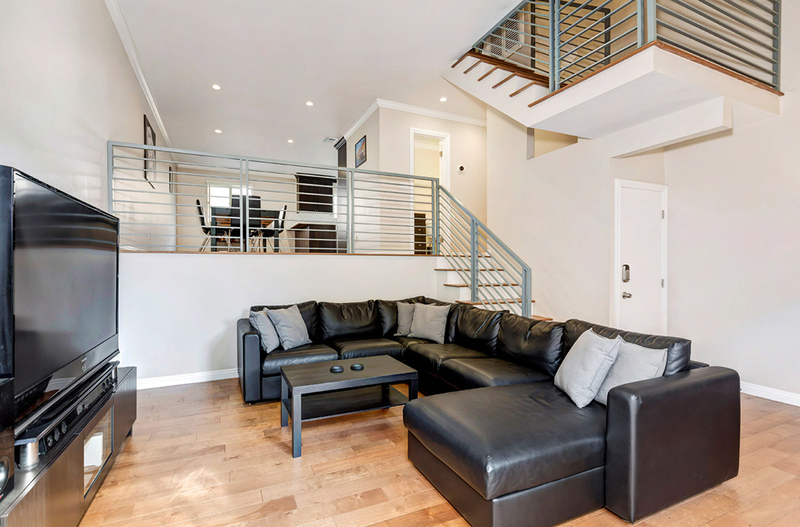 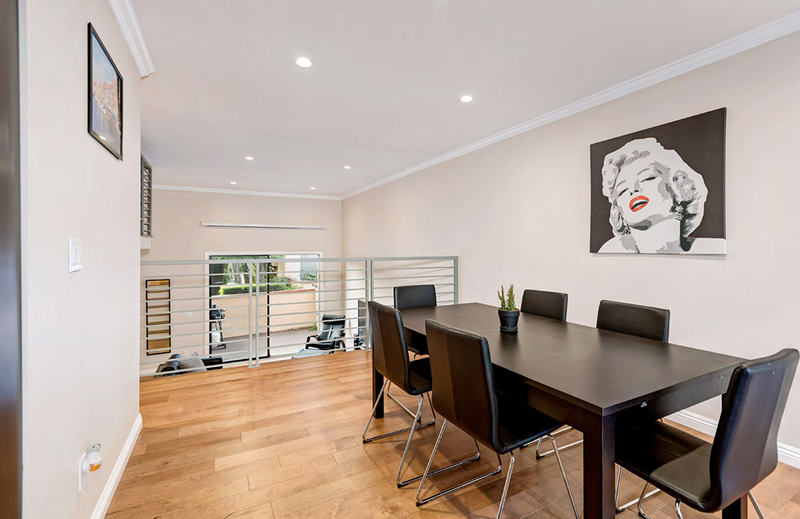 Find this bright and spacious townhouse on a treelined street in Burbank, within the boundary of a desirable school district. 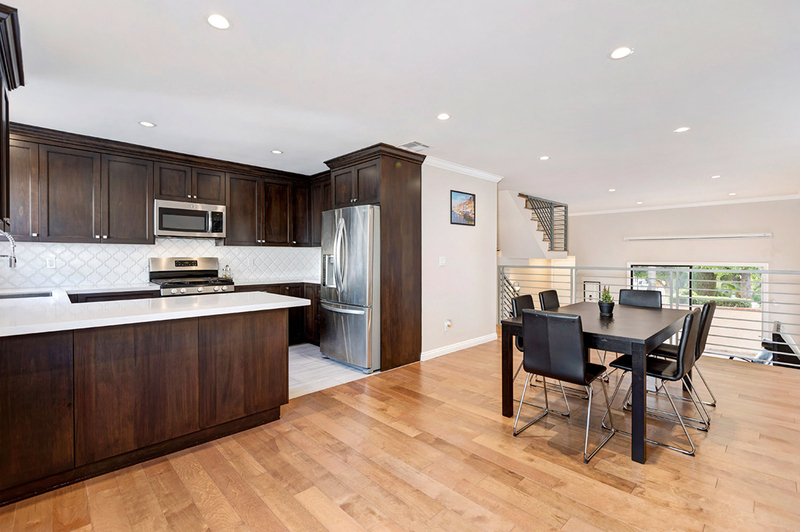 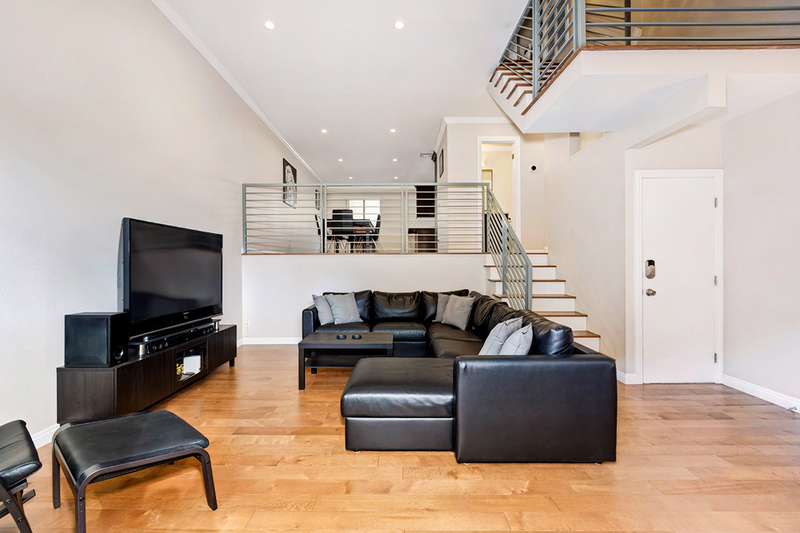 The airy, well-appointed residence has been renovated throughout and features two levels of living space with wood floors, high ceilings and lots of sunlight. 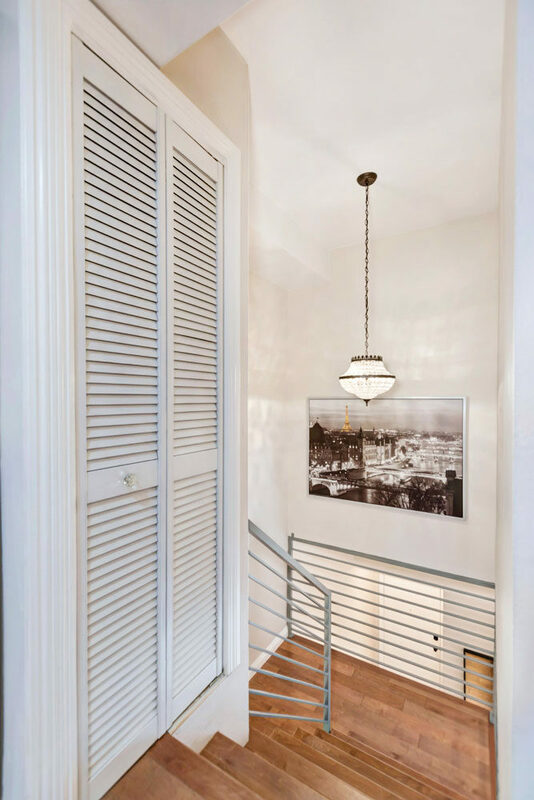 Stylish details include exposed railings and recessed lighting in the great room; the private patio off the living room is a choice spot for outdoor dining with friends. 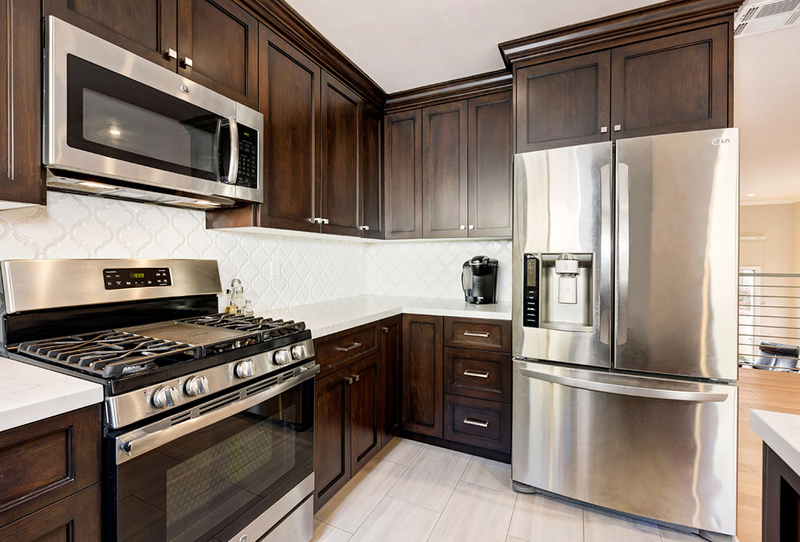 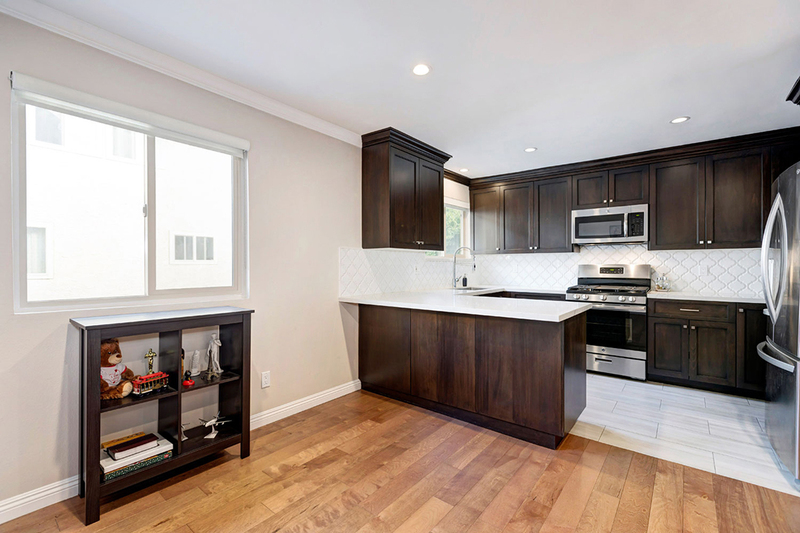 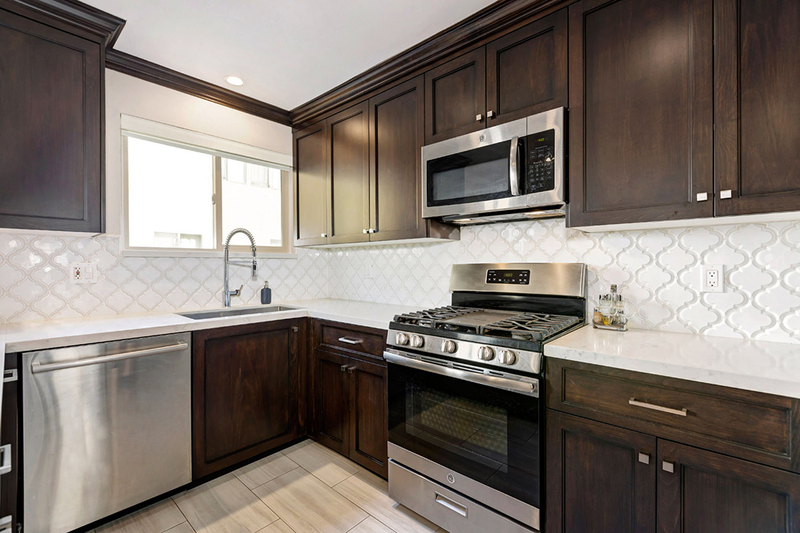 The updated kitchen features an arabesque tile backsplash, stainless appliances and a dining counter. 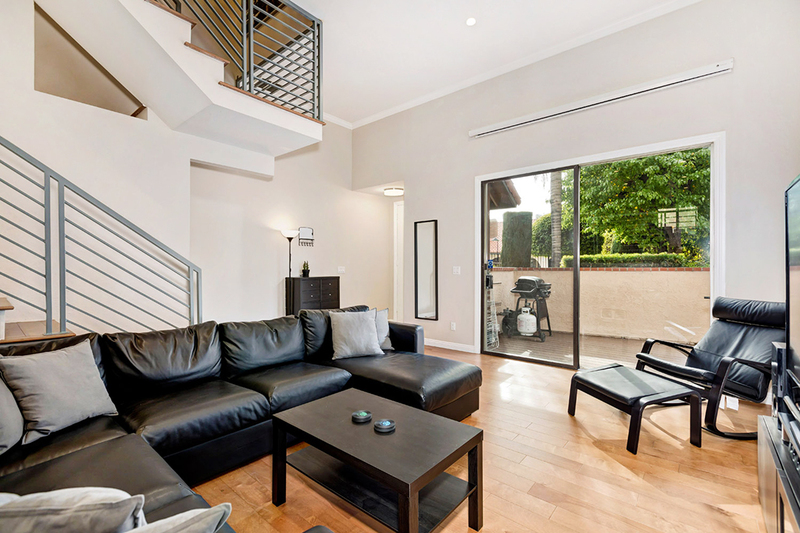 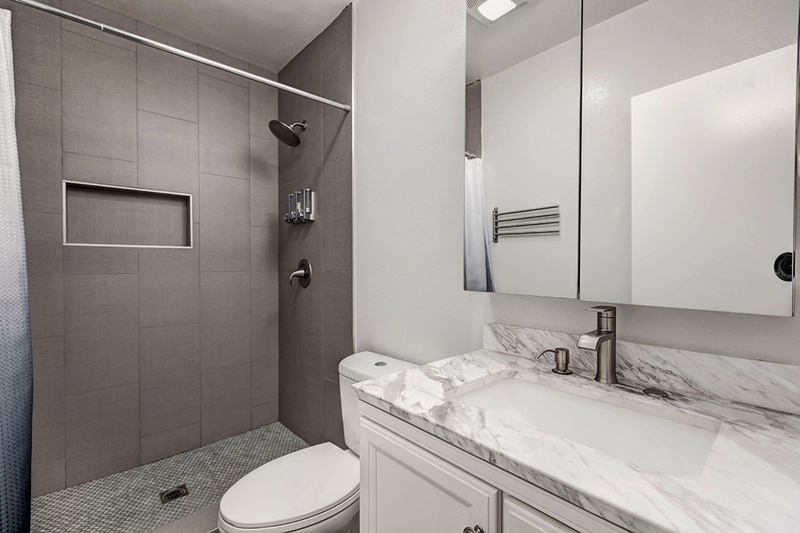 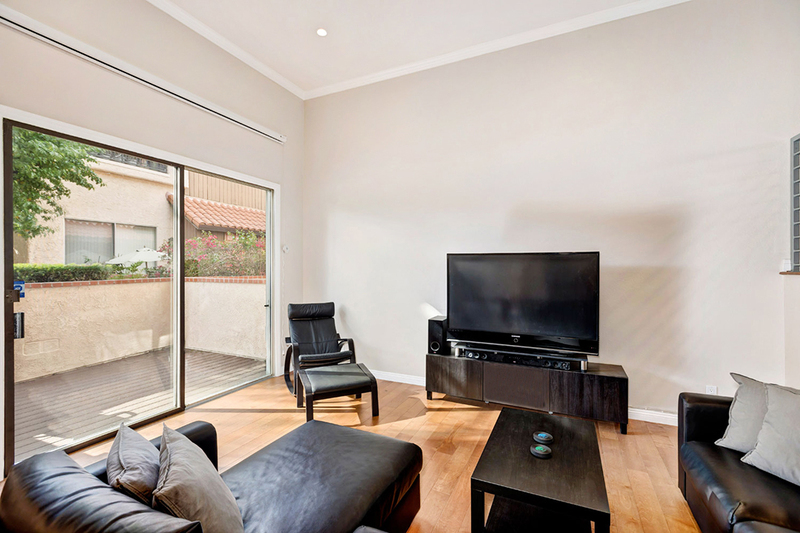 Three bedrooms include the ensuite Master opening to a sun-splashed balcony with pool views. 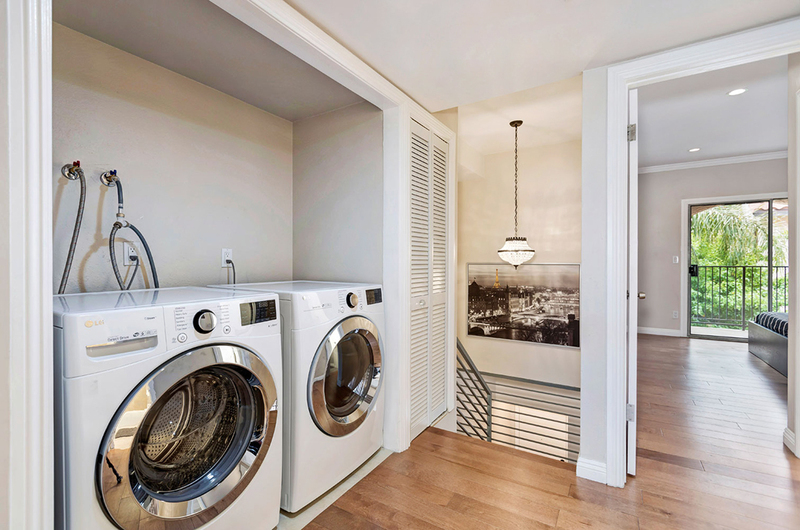 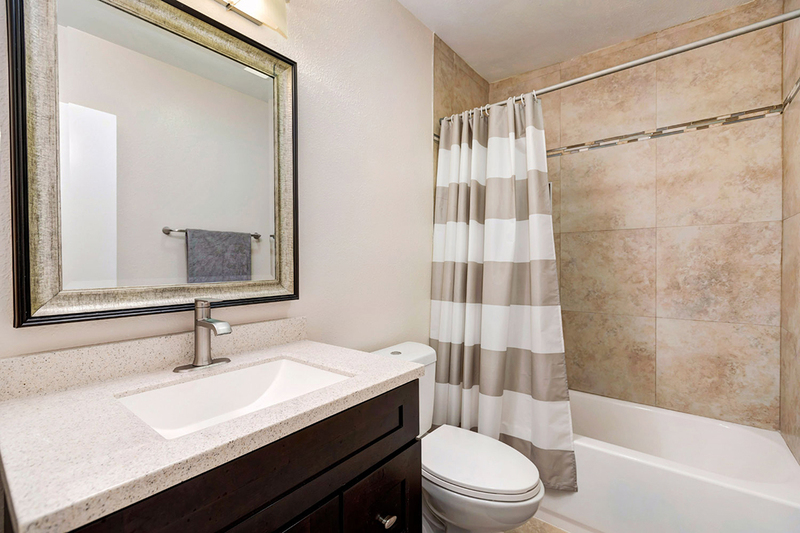 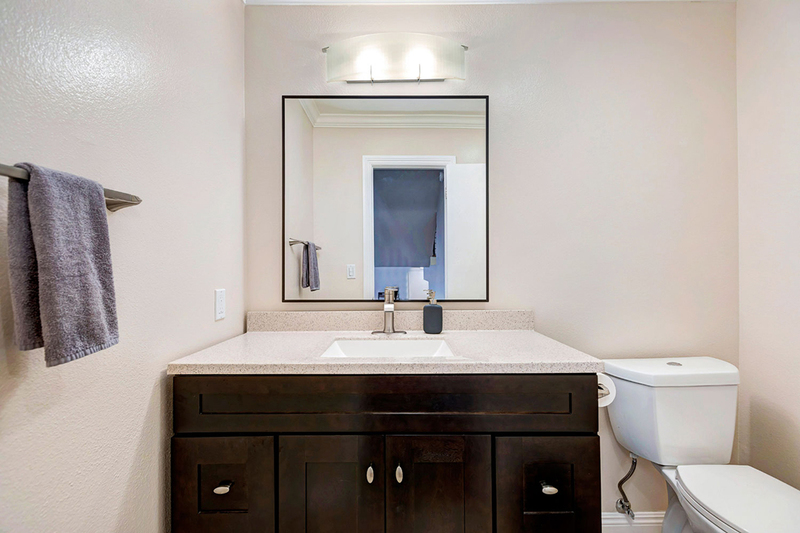 There is a directly-accessible garage and updated systems including central a/c, Nest thermostat and a Ring doorbell. 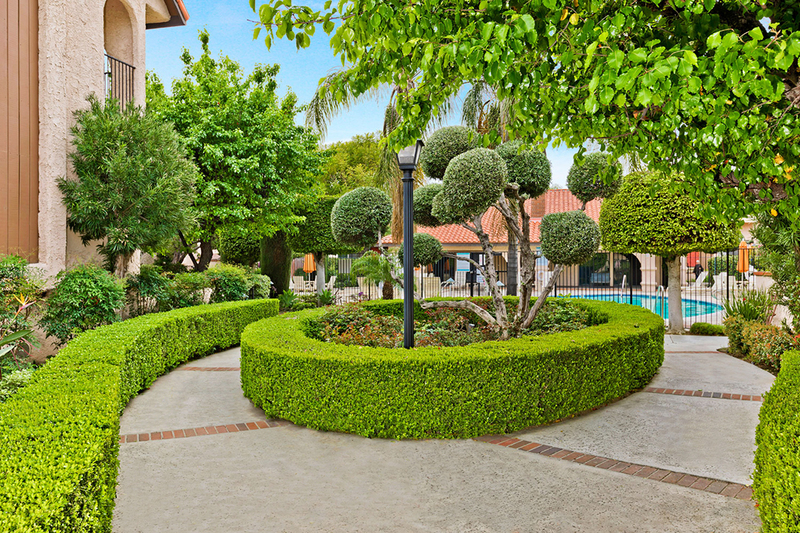 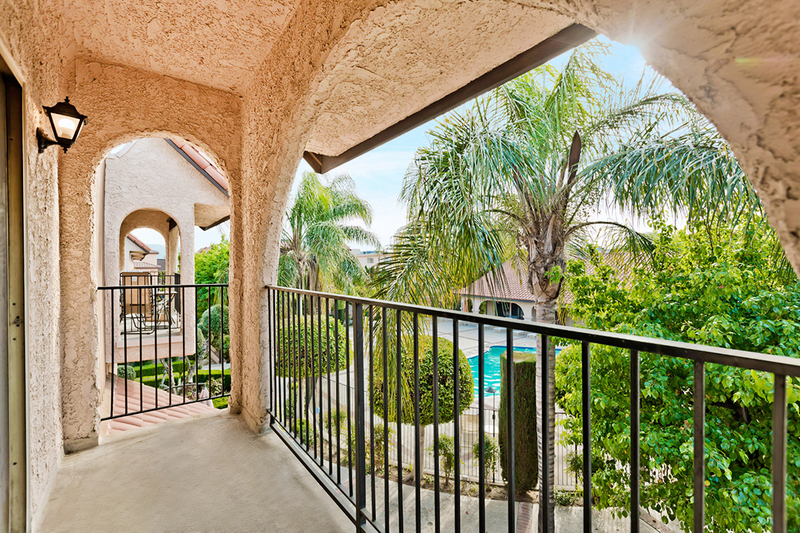 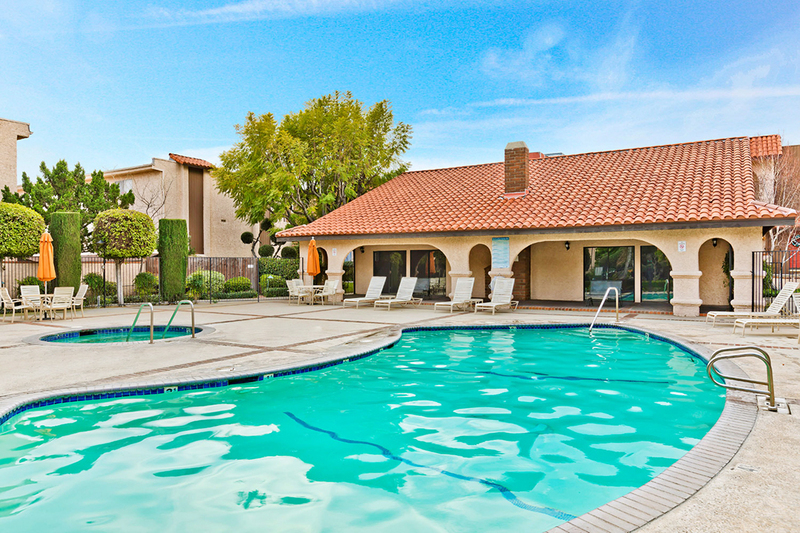 Serene community grounds and gardens are beautifully landscaped, and there is a sparkling pool and a jacuzzi. 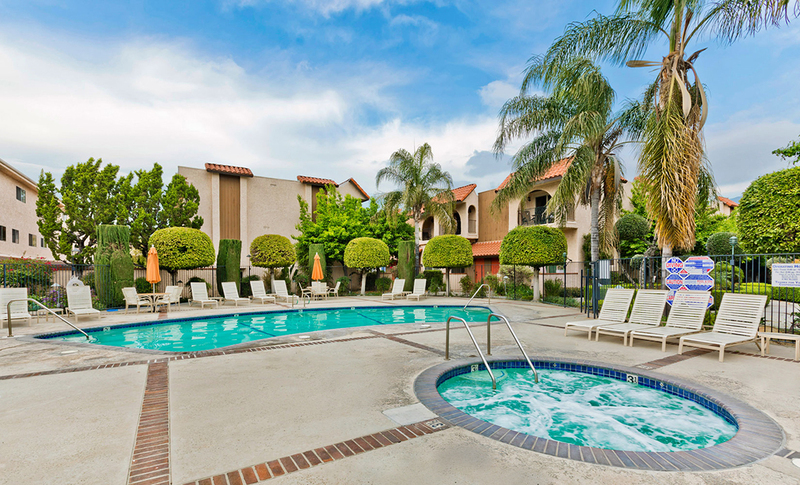 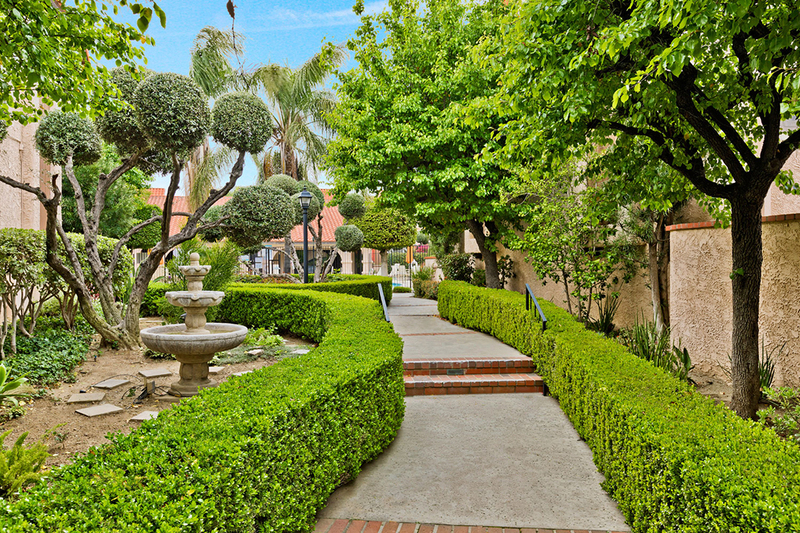 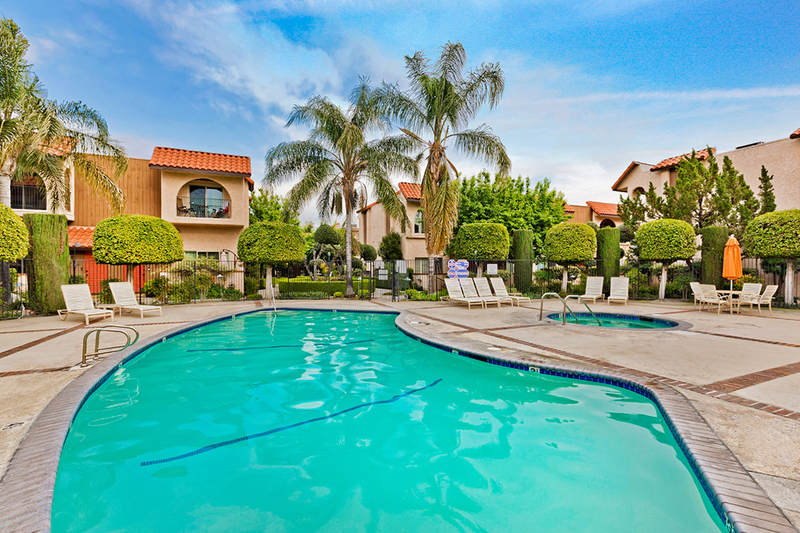 Shopping, dining and recreation options are abundant at nearby Burbank Town Center, Sprouts Market and McCambridge Park.